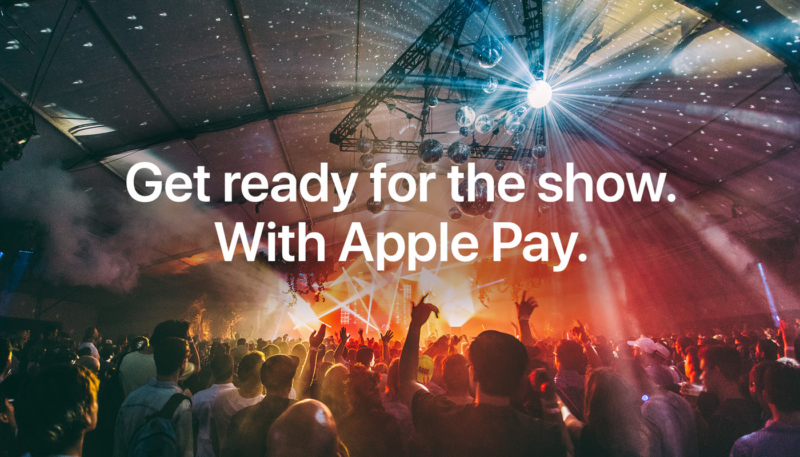 Apple’s latest Apple Pay discount promo will save a bit of money for sports, concert, and theater fans, as it offers $10 off a StubHub purchase of $100 or more, when you enter code “APPLEPAY-10” at checkout and use Apple Pay to pay inside the StubHub app. Get $10 off from StubHub. Apple Pay allows iPhone and Apple watch users to pay for goods and services at participating merchants. Users can also make secure purchases in apps, and on the web. Users can also send and receive money from friends and family via the Messages app. Apple Pay is even simpler than using your physical credit or debit card, and its safer, as your credit or debit card number is never transmitted, and all transactions are encrypted. * To redeem, enter code “APPLEPAY-10” at checkout. Offer valid when you use Apple Pay in the StubHub app July 12 through August 1. Exclusions apply. Minimum order value $100. iOS app only. Offer subject to change. Offer from StubHub only.